Compatible Roland Eco Sol Max, Eco Sol Max2 Ink cartridge, in 440ml, with Chips, Plug and Play. 100% Guaranteed, if it dones't work you can return it for a full refund. 3, Premium Eco Sol Max Ink, Odorless, and anti- fade. 6, The Eco Sol Max Ink Cartridge is for Roland, Mimaki with Epson DX4,DX5, DX6 Print head; Eco Sol Max2 Ink Cartridge is for Epson DX7 Printhead. 7, Fluent printing performance with vivid color, Clogging-Free Guaranteed. 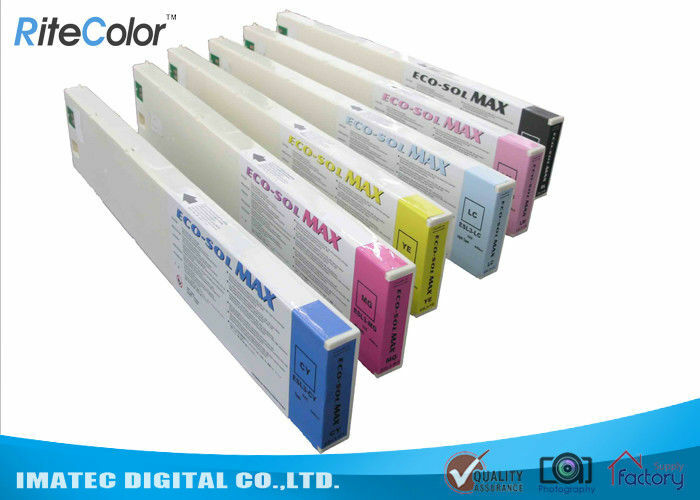 High-end quality standard Eco-Sol Max Ink for Roland, Mimaki, Mutoh. Not suggest to mix use with other 3rd party inks. Highly compatibility with OEM inks to mix use.